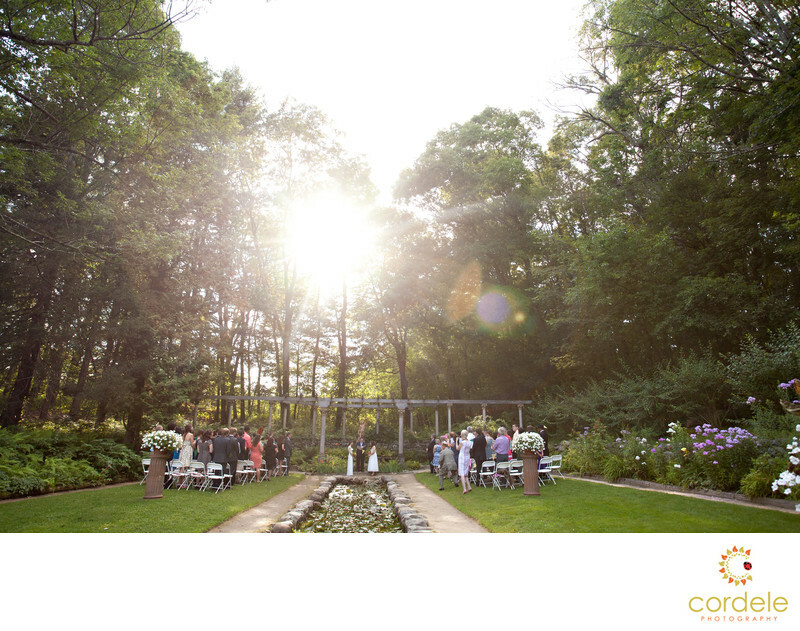 Codman Estate has one of the prettiest areas for an outdoor wedding. You can face the ceremony either towards the West Or turn it to the North or South and have people looking OVER the pond in the middle. Even in the rain, the trees provide nice shelter for the guests and their families.